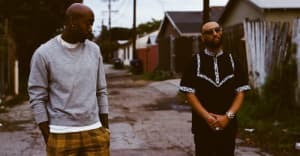 Freddie Gibbs is the guest on the first episode of Viceland's program The Therapist, hosted by Dr. Siri Sat Nam Signh. Over the course of the emotional program, Gibbs describes the various ways his life fell apart after he was charged – and later acquitted - of sexual assault in Austria. While he was in prison, Gibbs faced an alienating language barrier as well as direct harassment. "I would get teased by the guards," he said. "They would come by my cell at three in the morning, flash the light, tell me to rap." He was living under the threat of violence everyday, as his fellow prisoners in the cell block included "people with swastikas." Gibbs was eventually freed, but still faced challenges: "The stain on my name, it's traumatizing." From distrust, depression, and doubts about even being in the rap game anymore, Gibbs is an open book in the powerful program. Watch above.